The enormously fertile and innovative period of the cut-up project has enjoyed a good deal of critical attention since Robin Lydenberg, in her ground-breaking study of 1987, complained that the “cut-up novels of William Burroughs have been dismissed without ever having been rigorously examined” (55). This was her starting point, “to demonstrate that these narratives, which many critics have dismissed as unreadable, offer new ways of reading and thinking” (xi). My point of departure is implied by Lydenberg’s revealing use of the terms “cut-up novels” and “narratives”: missing from Lydenberg, as from all the criticism that has followed, is the historical and material rigour that demands examination of the text that preceded the novels and their narratives; that is to say, the original manifesto and manual of the method, Minutes to Go (1960). Whether this is “unreadable” is open to question, since it remains the critically unread starting point of Burroughs’ cut-up project. It is also, and far from coincidentally, the text most materially invested with the poetry and poetics that gave Burroughs’ method its original identity. What is at stake here? 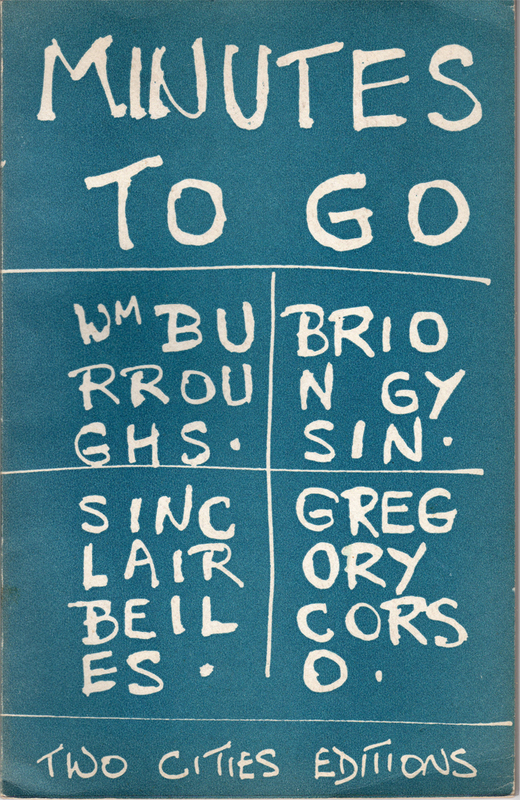 Why should Minutes to Go, a limited edition pamphlet of sixty pages, a work that had three authors other than Burroughs (Brion Gysin, Sinclair Beilles, Gregory Corso), and a text apparently so easy to overlook — why should it be brought in from the margins? In broad terms, there are two reasons. First, as implied above, Burroughs criticism has taken a surprisingly conventional literary approach to a project conceived so radically in opposition to the conventions of literature. The analysis of Burroughs’ novel-length cut-up texts has been at the expense of his myriad shorter texts from the same era, texts that, taken together, amount to a comparable body of work and demonstrate a much wider range of collage-based experiments.2 Even leaving aside his related work in other media — photomontage, collage scrap-books, tape-recordings, films — the effect of putting The Soft Machine, The Ticket That Exploded and Nova Express centre-stage is to distort the history and scope of Burroughs’ experimental practices. Minutes to Go does not fit the critical frame because it inaugurated and belongs to another history, one characterised by publication of hundreds of short texts in dozens of small underground magazines — a history, in other words, where the material, the publishing contexts, and the means of distribution all coincided with the world of avant-garde poetry in general, and the postwar revival of collage-based techniques in particular. It’s tempting to invert critical history altogether and say that, far from being the acme of Burroughs’ cut-up work, the trilogy is in fact its aberration, because the truest realisation of the project lay outside the novel form. At the very least, we can say that it is hard to grasp the poetic identity of the cut-up project so long as Burroughs is approached, first and last, as a novelist. Second, giving space to Minutes to Go is essential as a corrective to perhaps the most intractable and pervasive difficulty for Burroughs criticism, which is the relation of practice to polemic. That is, the claims Burroughs made for his cut-up methods invariably determine — and often substitute entirely for — close analysis of either the methods used or the variety of texts they produced. For criticism has also conjured up an abstraction fixed by a definite article by speaking of “the cut-up.” This temptation to generalise is, like the priority given to theory, a practical convenience that side-steps the difficulty of dealing with the multiple cut-up procedures that evolved over time, served different functions, and produced diverse results. The upshot is that Burroughs criticism has in effect entirely reversed the historical priorities. After all, the essential fact of the cut-up enterprise from the outset was that this was an experimental method; “experimental in the sense of being something to do” (Third Mind 31). As Burroughs told Ginsberg shortly after publication of Minutes to Go: “Don’t theorize. Try it” (The Yage Letters 59). An experiment is also a process of trial and error whose outcomes are unpredictable and subject to revision — “an act the outcome of which is unknown,” as John Cage put it in the mid-1950s (13; my emphasis). This is why slighting the material basis of Burroughs’ methods and the text that first embodied them, hides from view both crucial historical origins and alternative potentials. Cited only to be passed over as quickly as possible, so that critics can discuss Burroughs’ theory or analyse his novels, the fate of Minutes to Go is the original instance and prime symbol of this reversal of priorities. The most direct way to explore the poetics of Minutes to Go is to make good these shortcomings by focusing on the two names almost always cited together alongside the text: Arthur Rimbaud and Tristan Tzara. Now, within the text of Minutes to Go there are two references to Tzara. One is by Corso in his notorious “Post-script” that disowned his part in the cut-up project (“Tzara did it all before” (63)), and the other, which comes in the longer of his two polemical texts, is by Gysin, and is nearly identical to the lines from Burroughs cited above (“the Man from Nowhere . . . pulled words out of a hat” (42)). That Burroughs himself doesn’t mention Tzara in Minutes to Go — or in his one short text included in its immediate sequel, The Exterminator (1960) — is unsurprising, not only because he lacked Gysin’s agenda (Gysin promoted Tzara at least in part to settle an old score with André Breton), but given the specific nature of his contributions. Just over a third of Minutes to Go is attributed to Burroughs — but not “by Burroughs,” for (with the exception of one text, to which I will return) almost every word that appears above his name is itself attributed to other sources. Unlike Gysin, Burroughs did not juxtapose his first cut-up texts with any explicit polemical statement or set of instructions, and it would be another six months before he would publicly identify his method with Tzara’s and credit Tzara (rather than Lautréamont) with the maxim “Poetry is for everyone” (Third Mind 31). 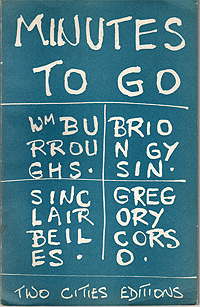 This delayed identification is a measure of the larger priority Burroughs gave to offering exemplary work over and above a theory of his practice or the practice of theory; the development of a cut-up poetics would follow from, be produced by, and closely resemble, the actual results of his methods. What then of the texts themselves in Minutes to Go; do they confirm the prevailing view of the relation between Burroughs and Tzara, namely that “the cut-up begins as an exercise in negativity, as a kind of Dadaist destruction” (Lydenberg 48)? Following the formula of Tzara’s “To Make a Dadaist Poem” (“Take a newspaper. Take some scissors” (39)), as well as Gysin’s accidental re-discovery of the method forty years later, Burroughs worked specifically on newspaper articles, and used them as the basis for eleven of his sixteen texts. Significantly, even this subset is too heterogeneous in form to tell the methods of composition used, and the only certainty is that these texts could not all have been produced according to Burroughs’ own, much-cited “how-to” description. Four of these texts are set out as more or less continuous prose, the rest in stanzas of irregular length — and in one case (“FROM SAN DIEGO UP TO MAINE”) there is both a prose text and a reworked version set in stanzas. The stanza layout appears to imply a poetic intent, and an affinity with such previous uses of newspaper material as the “readymade” i-Zeichnungen and i-Gedichte texts of Kurt Schwitters; but I would argue that the details given of the source texts (“NEW CLUES TO CANCER CURES / Saturday Evening Post / October 31, 1959″ (18), and so on) redirect attention from the form towards the transformations of a specific content. Cancer tests… brown blood.. live babies.. proof of virus. vacine? Bio-control the London conference.. it was out sheep cattle and animals have wild system…. Blood time brown blood. You could say that further interpretation is simply not possible; but the cumulative effect of such texts, enhanced by repetition of words and phrases across several of them, is still clear enough; to invite us to infer a calculated relation between language and the genetic code, twin deterministic systems subject here to systematic scrambling by the use of chance procedures. In this light, phrases such as “Cancer tests” and “wild system” take on meaning, but the closest Burroughs comes to making a direct statement to this effect in Minutes to Go — “In THEE beginning was THE word.. The word was a virus..” (59) — is still minimal and oblique. The conclusion has to be that texts such as “VIRUSES WERE BY ACCIDENT?” remain cryptic the better to exemplify a practice that must, in order to do its work, take priority over a fully coherent thesis. Or to put this the other way, a proselytising polemic, an authoritative statement of theory, would have pre-empted and therefore invalidated the logic of the methods themselves, and it was above all the methods that constituted the cut-up project. 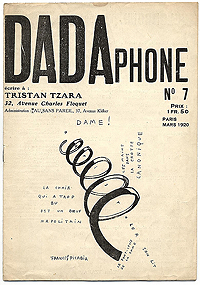 his own exemplary text — an example that would remain the only one he ever produced according to his own method.4 Typical of both the Dada written manifesto and the épatisme of his own public manifestations, Tzara’s recipe for composing poetry flaunts a deliberate mismatch between practical steps and claims for the results: the material is to be selected according to the “length you want to make your poem,” not by its content, while the outcome, after gently shaking the cut-out words and transcribing them, is a poem that will prove you are “an infinitely original author of charming sensibility” (39). Tzara’s formula for making poetry out of newspaper clippings was an ironic, anti-aesthetic manifesto stratagem, a performance trick rather than a creative blue-print, whereas Burroughs produced multiple material examples of newspaper-based texts and fully intended that others do likewise. The creativity of these texts is not bound to the aesthetic criterion of quality,5 but nor are they “negativistic” in the vein of “Dadaist destruction”; operating in a clearly calculated thematic context and offered for practical use, their creativity functions according to experimental values of surprise, transformation, and discovery. Are these values scientific or poetic? As Ian MacFadyen argues, you could say that Burroughs produced scientific results from artistic intentions, but equally that “his scientism led to extraordinary artistic results” (33). From such fragments could anybody identify the source poem? 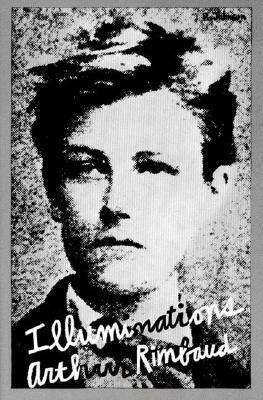 Or recognise Rimbaud? Is this — good or bad — poetry at all? The absolute mismatch between Burroughs’ claims and the texts in Minutes to Go should prompt us to ask quite different questions: what is the relation between these cut-ups of Rimbaud and Burroughs’ cut-ups of newspaper articles? and what is the real significance of associating Rimbaud so emphatically with the cut-up enterprise? The juxtaposition of these two texts with others created by cutting up newspaper articles might be taken as a statement about the equality of cultural materials, a position that has a long tradition in avant-garde collage-based work. But, while the cut-up Rimbaud poems do resemble the more fragmented of those based on newspapers, so asserting the basic materiality of language, there is a crucial difference. As with the newspaper cut-ups, both these texts end with a note that identifies the source text, but here it is followed by another line: “Words by Rimbaud, arrangement by Burroughs and Corso” (23). There are several things to say about this. Firstly, the term “arrangement” clearly denotes a design, the exercise of control, and so contradicts the assumption of materials presented entirely intact. Secondly, while the result is not offered as itself a poem, this description of creative process clearly maintains a distinction between the use of Rimbaud’s poem and anonymously authored journalism. More than that, it indicates a complex activity of collaboration: these are the only texts credited to two poetic practitioners, while Rimbaud is in effect recruited as a third collaborator (or a fifth, if you consider Minutes to Go as a whole). The result is a very particular act of hommage, one that has nothing to do with imitating Rimbaud’s style or creating “good poetry,” any more than it has with Dadaist destruction and the negation of poetry. Rather, it has to do with the cryptic invocation of a precise thematic relation and the practice of a particular poetics. Identifying the source text as “A une raison,” Burroughs allows — invites — us to re-read the original in light of the new context he created for it, and vice-versa. The key line is clear at once: “Change nos lots, crible les fléaux, à commencer par le temps” (“Change our fate, overcome the plague, and begin with time”) (Rimbaud 246, 247). Now we can not only recognise the words but see the felicitous significance of the line “Our lots con” in Burroughs’ text. In “The Exterminator” he would make fully explicit this covert alliance between his method and Rimbaud’s revolutionary call to abolish reason and escape time by deconstructing the “con” of language: “See and hear what They expect to see and hear because The Word Lines Keep Thee in Slots . . . The Word Lines keep you in Time . . . Cut the in lines” (Third Mind 71). Likewise in “The Cut Up Method of Brion Gysin,” Burroughs invokes Rimbaud’s “colour vowels” (which he would use later in 1960 as the structural principle for the first edition of The Soft Machine) and his “systematic derangement of the senses” (32). However, the crucial fact remains that the cut-ups of Rimbaud’s poem in Minutes to Go do not themselves reproduce such a visionary poetics. The significance of this failure is twofold. Firstly, as Burroughs must have known, Rimbaud was accorded a special place not only in Surrealist poetics but in historical definitions of collage, such as that given by Max Ernst: “Simple hallucination, in the words of Rimbaud . . . visual alchemy” (126). No coincidence that Gysin, who had worked with Ernst, should begin Minutes to Go with the words, “the hallucinated have come to tell you” (3), or that Burroughs should take the visionary figure literally by identifying Rimbaud’s dérèglement de tous les sens as the “place of mescaline hallucination” (Third Mind 32). However, Ernst also stressed that collage was an “alchemical composition of two or more heterogeneous elements” (Ernst 130; my emphasis); in other words, a technique that visibly combines disparate elements of diverse material origins. On this basis, the re-ordering of a single text does not qualify as a collage procedure. For the same reason, the line “Our lots con” cannot be said to function according to the collage principle of quotation as an act of abbreviated reference. Rather, as a cryptic phrase produced by the scissors, it signals one of the seductive pleasures of cutting up: the anticipation and discovery of messages, endowed with a magical potency or fetish quality precisely because they result from a mechanical procedure. The key feature is this private fascination of the “alchemical” act for the practitioner. In short, the use of Rimbaud in Minutes to Go is determined by the value accorded the material activity of the method, by the process itself, rather than the reception of its products.6 Or as Burroughs put it, in his only use of the term “cut up” here: “ANYONE CAN RECORD WORDS — CUT UP your own hustling myself” (60). This emphasis — also integral to his claims for the therapeutic value of cutting up — was an essential ambition of the first-stage of experiment and was central to its promotion as an available method, one that could fulfil the maxim Burroughs attributed to Tzara: “Say it again: ‘Poetry is for everyone.’ Poetry is a place and it is free to all cut up Rimbaud and you are in Rimbaud’s place” (Third Mind 31). This brings us to the second point, and to a conclusion. What Burroughs meant by being “in Rimbaud’s place” combined two quite different, even contradictory principles. If the first had to do with the material process of cutting up, as evidenced in Minutes to Go, the second had to do with the content and arrangement of the material, and would be demonstrated in his cut-up novels — texts that did, progressively and on a massive scale, fulfil the collage principle of combining and juxtaposing elements taken from diverse origins. 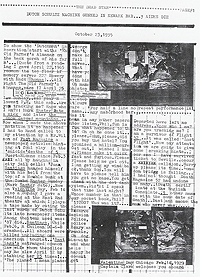 This disposition is anticipated in Burroughs’ exceptional text, “REACTIVE AGENT TAPE CUT BY LEE THE AGENT IN INTERZONE.” This alone cites no sources, but familiarity with Burroughs’ work enables us to recognise lines from The Naked Lunch and other, at that time unpublished, manuscripts, which are cut up to produce a collage of phrases and images that approximates the density, rhythmic measure, and uncanny effect of déjà-vu characteristic of the cut-up novels. 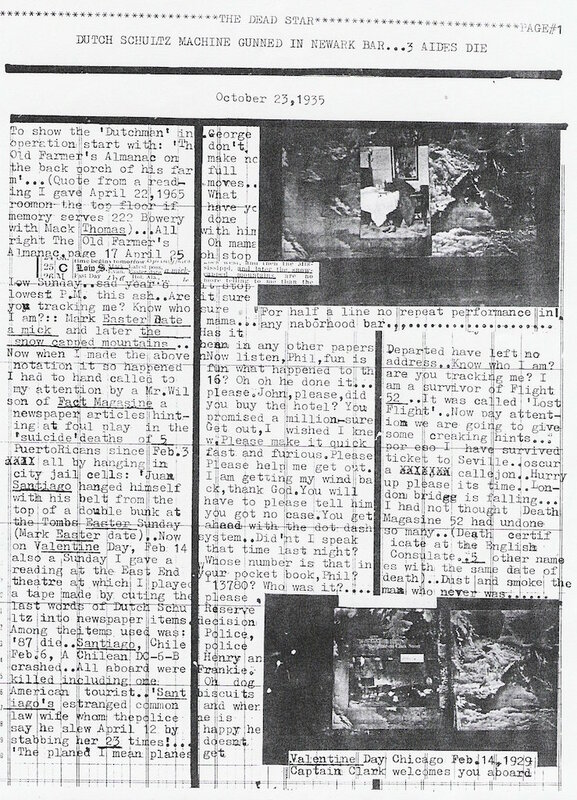 Some six months after Minutes to Go, Burroughs would tell Ginsberg: “I find cut-ups most immediately workable on poetic prose image writing like Rimbaud, St. Perse and Your Correspondent.”7 What’s curious about this is that such an understanding ought to have been already clear to Burroughs, since he had achieved something very like it seven years earlier, in the “Composite City” section of The Yage Letters. A variation upon both the “Villes” of Rimbaud’s Illuminations and St. John Perse’s Anabasis, this phantasmagoria, which is motivated by the intense sensual derangement of yagé intoxication, is itself a composite text; for it not only reproduces the elliptical mosaics of imagery and long, densely rhythmic catalogues of Rimbaud and St. John Perse, but does so by recycling and transforming material that appeared earlier in Burroughs’ own text.8 As an exercise in “poetic prose image writing,” this was a model that Burroughs, in effect, went back to after Minutes to Go, now armed with a pair of scissors. In Minutes to Go itself, “poetry” is not understood in terms of words on the page but as the “place” reached by a particular use of chance operations on pre-existing words, and this place is both unknown and where certain things can be seen, precisely because the outcome of the activity cannot be fore-seen. In sum, it was as a method, to be grasped by doing, not as a content to be understood by interpretation, that Burroughs both saw and demonstrated the relation of cut-ups to Rimbaud’s own definition of poetry: “I want to be a poet, and I am working to make myself a seer: you will not understand this, and I don’t know how to explain it to you. It is a question of reaching the unknown by the derangement of all the senses” (303). 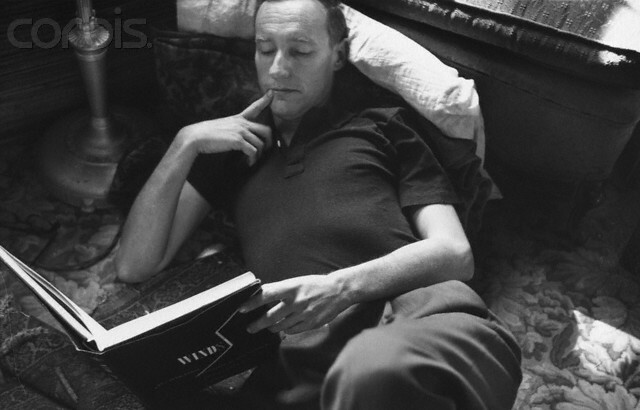 While he worked intensively on his trilogy, Burroughs gave less attention to promoting his methods in terms of the practitioner’s active experience, which required simple techniques and short texts. With this shift came more poetic possibilities for the reader to experience, and in a sense the trilogy’s more complex effects were a response to that very shift, a solution to what one critic identified as the “problematics of reading cutups without actual cutup experience” (Géfin 95). The emphatic critical focus on Burroughs’ trilogy assumes that Minutes to Go was abandoned as a dead-end.9 But it would be well to recall the full context of John Cage’s definition of an experiment “as an act the outcome of which is unknown”; “providing it is understood not as descriptive of an act to be later judged in terms of success and failure” (13). The verdict that Minutes to Go was a false-start misunderstands the evolutionary logic of Burroughs’ procedures that started in 1960, experimental procedures based on trial and error, repetition and variation, multiple functions and provisional results. Five years later, Ginsberg observed that, since “a page of his prose is as dense with imagery as anything in St. John Perse or Rimbaud,” you could say that “Burroughs is a poet too, really” (Paris Review 320). Ginsberg therefore anticipated the fate of the poetics that cut Rimbaud up with Tristan Tzara, since, like everyone else after him, he was not thinking of Minutes to Go. 1 Burroughs’ text, “Fits of Nerves with a Fix” appeared alongside pieces by these and other poets in the “cut-up” issue of C magazine (February 14 1965), 1.10. 2 For one of the very few articles to analyze such texts, see Skau. Even Laszlo Géfin, who contextualizes cut-up methods within historical collage practices, fails to deal with any specific texts. 3 Gérard-Georges Lemaire identified Tzara as one of cut-ups’ “distant ancestors” (Third Mind 14); Noëlle Batt has observed that “the two moves are decisively differentiated on the one hand in terms of the spirit in which they were undertaken, and on the other hand in terms of the productive power they demonstrated” (14; my translation); and Barry Miles notes that “the circumstances were entirely different” (196) — that these are the most rigorous engagements in Burroughs criticism suggests the scale of the problem. 4 In fact, Tzara had recently practiced similar chance cannibalizations, but applied to his earlier symbolist poetry and done with the aim of negating its poetic and personal expression. See Browning. 5 Jeff Nuttall, who published many of Burroughs’ short newspaper layout texts in the mid-1960s, specifically presented them defined against the “aesthetic frame of reference and intention” that determined “the classic cutups of Tzara and Schwitters” (“Nut Note on the Column Cutup Thing,” My Own Mag, 15 (April 1966), 15). 6 Writing to the publisher of The Exterminator, in July 1960 Burroughs even proposed a variant of the cadavres exquis of the Surrealists (“Perhaps a game would do it. Like, say four people each write a page on any subject comes to mind. Then cut and rearrange. With squared paper and the cut lines drawn you dig.”), further evidence of the priority given to soliciting practice, over and above consumption of Burroughs’ own results (Burroughs to David Hazelwood, July 26 1960 (University of California)). 7 Burroughs to Ginsberg, September 5 1960 (Ginsberg Collection, Columbia University). 8 For a more detailed analysis, see my William Burroughs and the Secret of Fascination (Carbondale: Southern Illinois UP, 2003). 9 On this basis, you might as well say that the trilogy failed, since Burroughs published some two hundred short texts between Nova Express in 1964 and his next novel, The Wild Boys in 1969. Given the nature of his experiments, short texts were better suited to the cut-up project, so that Burroughs’ constant revisions of his trilogy — three titles, but six different editions — can be seen as a rather desperate attempt to apply this very logic to his novels. Batt, Noëlle. “Rupture et déplacement dans l’oeuvre de William Burroughs.” Revue Française d’Études Américanes 1 (April 1976): 12-21. Browning, Gordon Frederick. 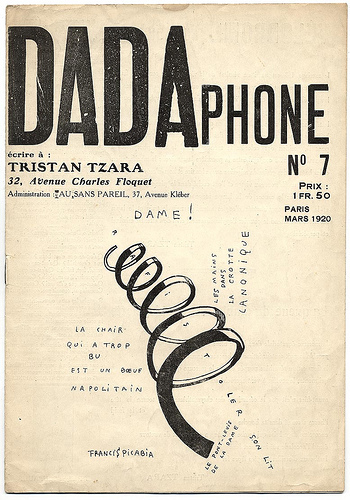 Tristan Tzara: The Genesis of the Dada Poem, or from Dada to Aa. Stuttgart: Akaemischer Verlag Hans-Dieter Heinz, 1979. Burroughs, William. Interview with Conrad Knickerbocker. The Paris Review Interviews, ed. George Plimpton. New York: Viking, 1967. 143-174. —	The Yage Letters. San Francisco: City Lights, 1963; 1975. Burroughs, William, Sinclair Beilles, Gregory Corso, and Brion Gysin. Minutes to Go. Paris: Two Cities, 1960. Burroughs, William, and Brion Gysin. The Third Mind. London: John Calder, 1979. Cage, John. Silence: Lectures and Writings. London: Marion Boyars, 1971. Ernst, Max. “Beyond Painting.” In Surrealists on Art, ed. Lucy R. Lippard. Englewood Cliffs: Prentice-Hall, 1970: 118-34. Géfin, Laszlo. “Collage, Theory, Reception, and the Cutups of William Burroughs.” Literature and the Other Arts 13 (1987): 91-100. Ginsberg, Allen. Interview with Thomas Clark. Paris Review Interviews, ed. George Plimpton. New York: Viking, 1967. 279-320. Lydenberg, Robin. Word Cultures: Radical Theory and Practice in William S. Burroughs’ Fiction. Chicago: Illinois UP, 1987. MacFadyen, Ian. “Machine Dreams, Optical Toys and Mechanical Boys.” In Flickers of the Dreamachine, ed. Paul Cecil. Hove: Codex, 1996: 21-48. Rimbaud, Arthur. Complete Works, Selected Letters. Trans. Wallace Fowlie. Chicago: U of Chicago P, 1966. Skau, Michael. “The Central Verbal System: The Prose of William Burroughs.” Style 15 (1981): 401-14. Tzara, Tristan. Seven Dada Manifestos and Lampisteries. Trans. Barbara Wright. London: John Calder, 1977. Written by Oliver Harris. First published in The Edinburgh Review 114 (2005). Republished by RealityStudio in August 2010. Cover of Bulletin Dada #7 from the Flickr stream of laura@popdesign. the days spent reading Burroughs et al were all good!! Will bring back memories, maybe! I hope maybe not!! Which ever way, thanks for sharing! !